Accueil » Articles » What are the greatest barriers to the uptake of insect protein? What are the greatest barriers to the uptake of insect protein? The greatest barrier to the uptake of insect protein is that consumers are simply unaware of the numerous benefits of insect proteins, with 38% of global consumers saying they are not familiar with the ingredient, according to research by leading data and analytics company GlobalData. The company found that while 17% of consumers surveyed had a negative perception of the health impact of insect protein, 21% thought it would have a positive impact on health. The majority of consumers (38%) say they are not familiar with insect protein and its benefits, and a further quarter of consumers perceive it to have no effect on their health. Insects are a healthy and highly nutritious food source with high protein, fiber, vitamin and mineral content; for example, cricket flour has twice as much protein as beef and twice as much iron than spinach. They are also greener and more sustainable alternatives to traditional animal protein sources such as beef, pork and poultry given that they emit fewer greenhouse gases and require less water and feed to produce. To challenge the taboo surrounding edible insects, firms are investing in mass-rearing edible insect technologies to mill whole insects into fine grain flour, which is then used to make insect-based products. As flour, the product becomes a lot less unsightly and more appealing to consumers compared to eating insects whole. This concept is similar to animal protein processes as steaks, for example, do not resemble cattle. 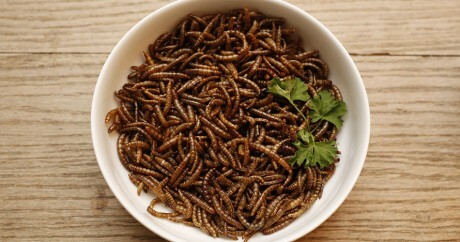 “Companies should also look to promote the flavor appeal and versatility of insect protein. For example, brands can use familiar flavor combinations and promote insect protein as a means of boosting the protein content of smoothies and baked goods to further the adoption of insect-based foods into society,” concluded Perry.